The UK architect John Pawson approached The Cale Schiang Partnership in the mid 1990’s for assistance in sourcing a suitable high stool for use in the First Class lounges for Cathay Pacific at Chek Lap Kok Airport Hong Kong. Project which was completed in 1998. 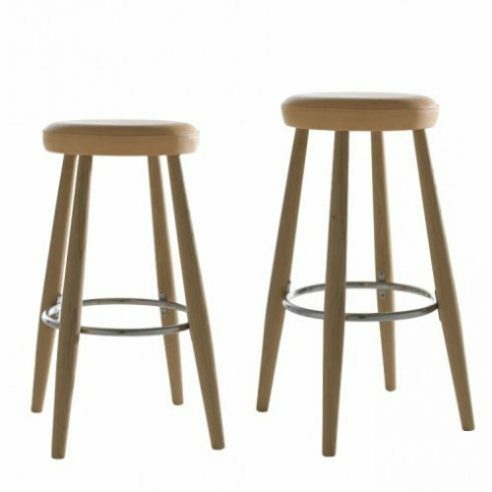 Stool CH58 together with the original higher version CH56 were subsequently introduced by Carl Hansen and Son, initially as an exclusive design for Bulthaup only to sell alongside their kitchens. It was the connection with John Pawson whose work with the German Kitchen Company Bulthaup had prompted Carl Hansen and Son to put the Cathay Pacific Stool into production in two heights for the kitchen maker, as models CH56 and CH58. The Wegner stools were not the only successful introductions by Carl Hansen to come out of the working relationship between the Cale Schiang Partnership and John Pawson Architects.